It isn’t exactly certain how blinds came about. We don’t know who invented them, or on what date. We have many reasons to believe that blinds, or at least the conception of them, first originated thousands of years ago in Egypt. At that time, their design was likely very simplistic, being comprised of little more than a variety of fixed slats used to block out the harsh light of the sun in certain infrastructures. We also have reason to believe that this proto form of blinds was then further developed in China, Persia, or India. It’s only around the early 1700’s that the history of blinds becomes more clear and certain. At this time, blinds were beginning to appear along various European trading routes, most notably along the Italian coast near Venice. It should come as no surprise that this is where the familiar name “Venetian blinds” originates. Later, throughout the colonial era, blinds began to rise in popularity in various English and French colonies. During this time, blinds were considered more of a luxury to be enjoyed by the upper class, rather than an essential part of everyone’s home. Blinds could be found in churches, public buildings, and large estates. Paintings from this era often portrayed blinds in what were clearly wealthy and luxurious households. 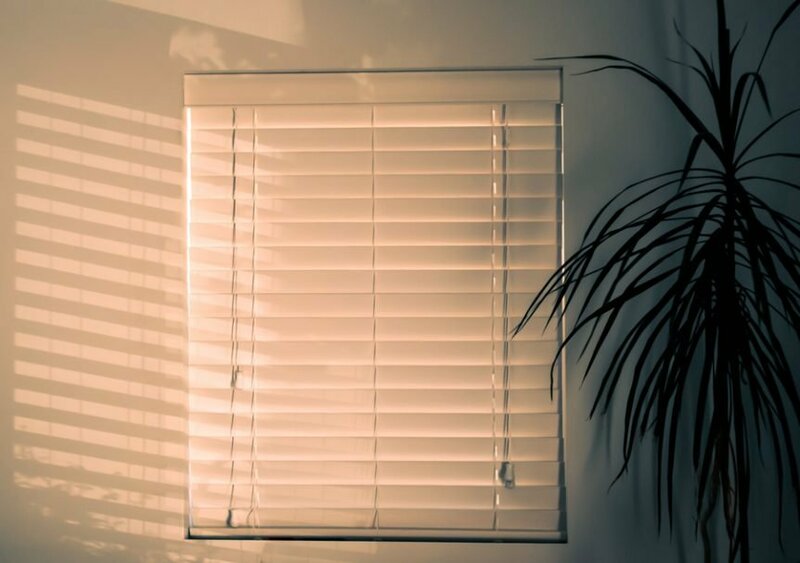 In North America after the end of World War 2, window blinds began to be mass produced through over 1,000 distributors, all owned by Hunter Douglas. The 1970’s saw one of the most significant blind redesigns with the invention of the 1 Inch Mini Blind. This is what you typically think of when you consider your average blinds in almost any household – simple, thin, light, and easy to transport. Because of this new design, blinds became far more affordable, rather than a strictly high class luxury. 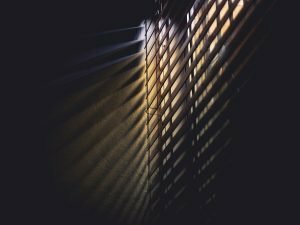 That’s not to say the more traditional form of blinds – the hard wood, wide slat form – weren’t still considered more aesthetically appealing and valuable. In fact, in the 80’s and 90’s, about ten to twenty years following the rise of the 1 Inch Mini blinds, traditional blinds made a significant market comeback. Blinds tend to be broken down along two main categories: the traditional wide slat form, and the 1 inch mini form. However, there is a wide variety of blind styles within these categories, as well as forms of blinds that don’t quite fit into either one. Panel Blinds: These are vertical blinds in sections that move along a track. They will perfectly accommodate large windows and patio doors. Micro Blinds: These are similar to mini blinds, but they’re even smaller (about ½ inch for each). It can be an odd aesthetic, but one that certain people love. Vertical Blinds: These are blinds which hang vertically from a horizontal track located at the top of the window. These also come in a variety of forms, some opening by being parted in the middle, others by opening from side to side. Vertical blinds are ideal for patio doors and floor-to-ceiling windows. Blinds can also be made from a variety of different materials, colors, and stains. Business owners and homeowners alike can, with a little searching, find the perfect blinds to accommodate their home’s unique design and layout. Wood blinds: These tend to exude a rich, warm beauty that makes for a cozy feel to any room, making them a popular choice for many. Wood blinds can also be found with many different stains, colors, and wood types. Remember, wood blinds should not go in rooms that see high levels of moisture or humidity. This is because wood expands and contracts with water exposure, and this can result in damage to your wood blinds over time. Faux Wood blinds: Despite the name, you’d never know these weren’t real wood, as they were designed specifically to be indistinguishable from natural wood blinds. Faux wood provides the same aesthetic appeal as natural wood blinds, but they can also be installed in rooms with regular humidity build up like the bathroom or pool room, as faux wood doesn’t expand and contract. Faux wood blinds are durable, long-lasting, and beautiful. Plastic blinds: These are the most affordable blinds. They come in all sizes and colors, and make a great addition to any room. 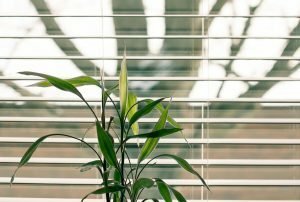 How You Can Save Energy With Your Blinds! Did you know blinds are about more than just light and privacy control? That’s right, blinds can be used to maximize the energy saving potential of your home year round. That means spending less money on HVAC services. During the summer time, install brightly colored blinds. Make sure to keep them closed during most the day. Then at night, open them and leave the windows open so that warm air can escape your home. During the winter, install dark colored blinds. Leave them open in rooms where the sun is shining in, and closed in rooms where it is not. This will draw heat into your home during the day. At night, keep them closed to reduce heat loss. Don’t forget to make sure they’re installed as tightly and securely as possible for maximum results!